Backdated post. Actual event took place on 17 March 2006. Every now and then, we decides to go Breakers for pool. It’s one of those day we would just like to just relax and have fun times after a whole day of work. What more, TGIF! Me, Gigi and Evan arrived at Breakers and started to play. It was about an hour later then LKY arrived with Ah’ B. There was some drama when the boucers doesn’t allow Ah’B to enter as he is wearing slippers. Hemmm.. we were all quite uneasy with the situation as our drinks just arrived, we just started to play pool and just starting to get comfortable with the place. LKY had to walk in and out to check things on both sides until we came out with an idea. Since KY is wearing shoes, he took off his socks and borrowed it to Ah’ B. The end result… hehe.. it was a brilliant idea, surely he managed to join us . *woohoooo* No more worries… we could all play in peace finally. We took lots of pictures as I promised Evan to take some pictures with him. Hahaha… I cannot believe it.. before this, I had only take one picture with him. 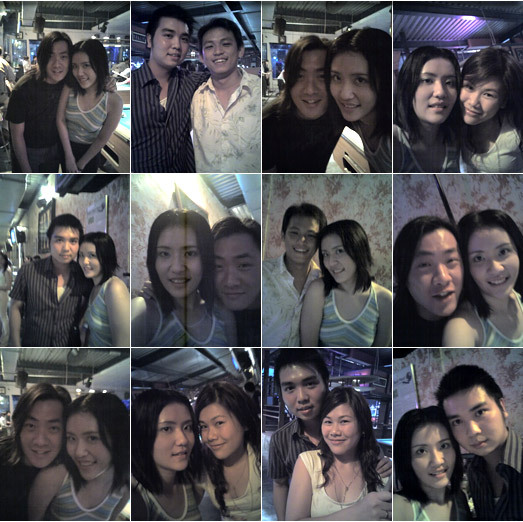 As we were happily taking picture, playing pool… happily drinking, we bump in to some friends from mIRC. Hahaha.. which also went through the same drama as Ah’ B. But he was rather lucky his friends house was nearby and even luckier, he and his fren wear the same shoe size. Coincidence is the only word I can think of to express stuffs. After a long nite of pooling, we then walk across the road and yum char! Hahaha.. yes.. yum char is the word I like to listen to instead of having supper. I dunno, it makes me sounds more Malaysian than ever. Despite all the drama’s it’s still a good outing and surely look forward to see them all again. 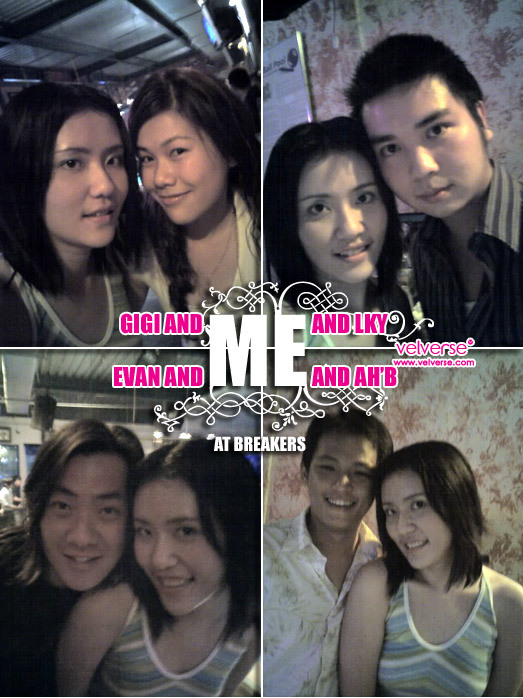 Yeah… it’s been like ages since I last saw KY and Ah’ B.
Let’s celebrate Wai Khiong’s Birthday!